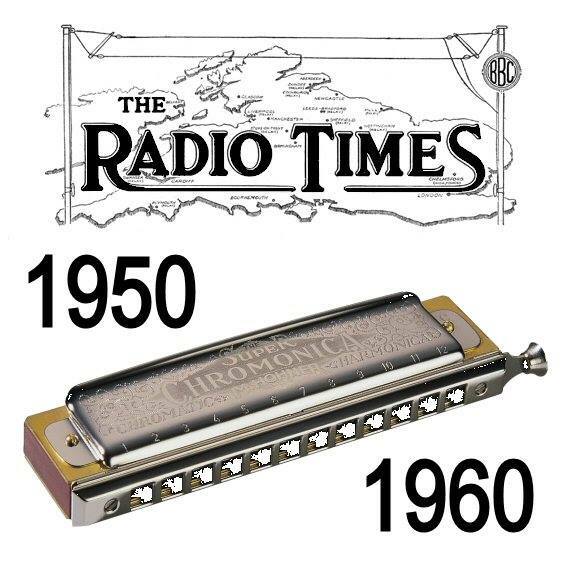 Here are some memories of 1950s harmonica on the BBC for those who were there or who were told about it in history lessons. Tommy Reilly, Larry Adler, Ronald Chesney, Max Geldray, The Morton Fraser Gang and The Three Monarchs. Dixon of Dock Green, The Grove Family, The Navy Lark, Educating Archie, The Goon Show, Workers' Playtime, and Variety Bandbox.